Erected by William C. Pomeroy Foundation. Location. 42° 57.514′ N, 76° 27.803′ W. Marker is near Skaneateles, New York, in Onondaga County. Marker is on Franklin Street Road, on the left when traveling east. Touch for map. 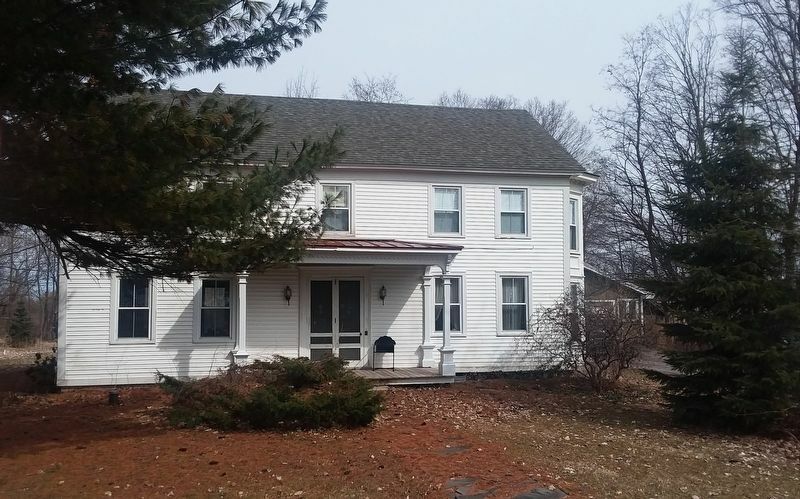 Marker is at or near this postal address: 4195 Franklin Street Road, Skaneateles NY 13152, United States of America. Touch for directions. Other nearby markers. At least 8 other markers are within 6 miles of this marker, measured as the crow flies. Benjamin C. Cook (approx. 1.4 miles away); Sherwood Inn (approx. 1.9 miles away); Site of The Great Fire (approx. 2 miles away); St. John's Beach (approx. 2.1 miles away); One-Room School (approx. 3.8 miles away); First Log Cabin (approx. 4.9 miles away); St. Alphonsus (approx. 5 miles away); "Factory Gulf" (approx. 5.2 miles away). Touch for a list and map of all markers in Skaneateles. More. 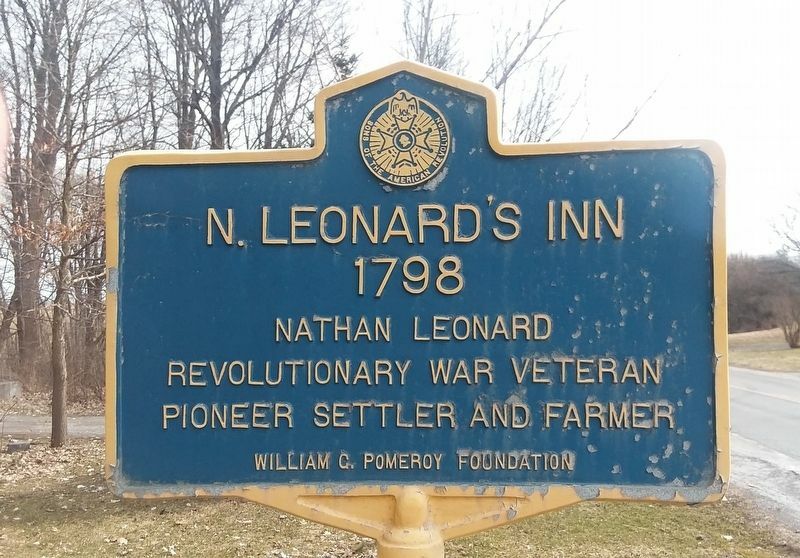 Search the internet for N. Leonard's Inn 1798. Credits. This page was last revised on March 29, 2019. This page originally submitted on March 28, 2019, by Nathan Mercado of Auburn, New York. This page has been viewed 29 times since then. Photos: 1, 2. submitted on March 28, 2019, by Nathan Mercado of Auburn, New York. • Andrew Ruppenstein was the editor who published this page.